When Miranda set out to make the XMOD MTB carbon crankset, they wanted them to be lightweight, durable, and compatible with multiple mountain bike disciplines. With over six months of testing on our end, we feel we’ve come to a verdict on how well they did in covering these objectives. Unboxing Miranda's XMOD MTB crankset lineup initiated a flood of parts and spare pieces: Crank arms, direct mount rings, oval rings, 2X spider, four different spindles…the list seemed to go on and on. 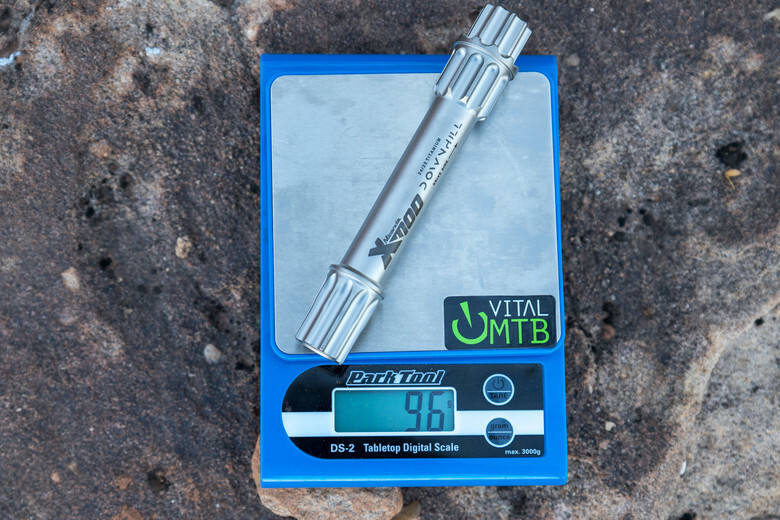 Getting our hands on each bit, it became quite evident that Miranda intended these cranks to function on everything from XC to DH bikes. 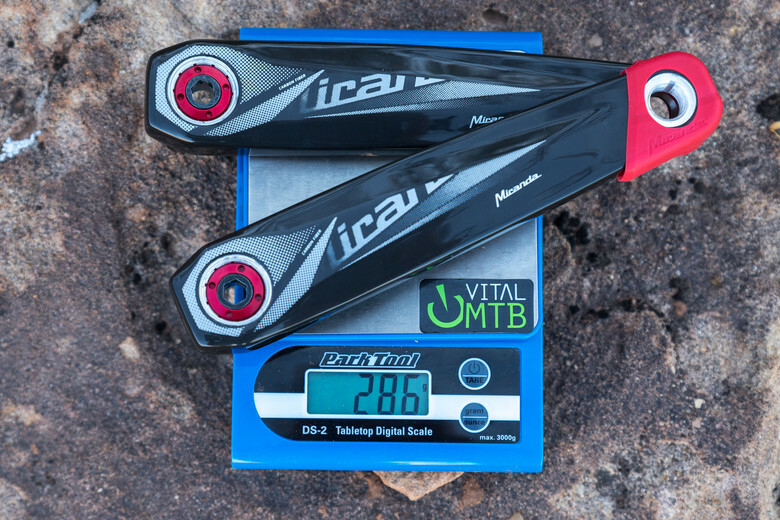 The crank arms are made of carbon fiber and have a gorgeous gloss finish. Their appearance is so nice we were almost hesitant to get them dirty and all marked up. Luckily crank boots are included to protect from nasty pedal strikes. Spider wise, we were given a 32-tooth direct mount and 32-tooth oval ring to play around with. Miranda also makes a 2X spider for those more serious about endless gear combos. We stuck with the 1X system. The ChainFlow 3D technology found on their chainrings utilizes a T-shaped tooth profile which hugs the chain tight. The chain stays glued to the ring even while shifting in the most extreme trail conditions. 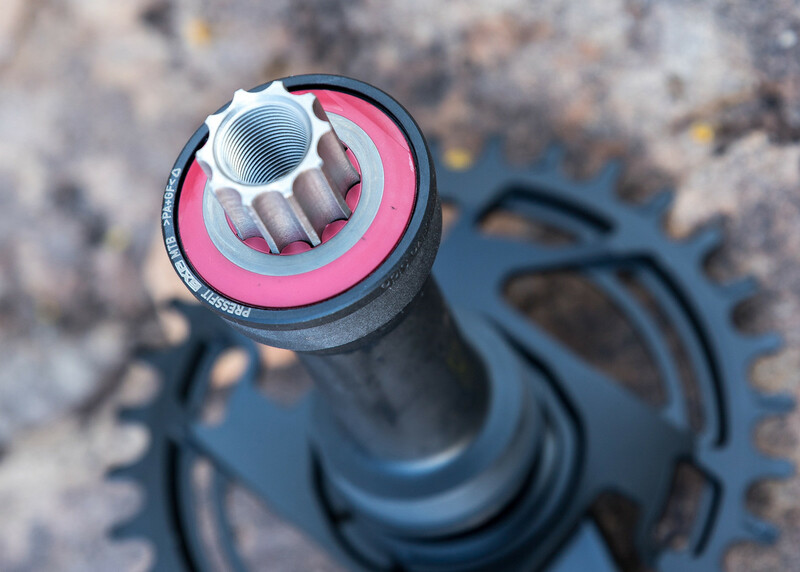 Interchanging spindles isn’t a new concept for mountain bike cranks, but Miranda steps that up a notch by offering a spindle for pretty much any mountain bike frame. The four spindles we sampled were: Standard, Boost, Super Boost, and DH. Did we mention these spindles are also titanium? Pretty nice touch for keeping stiffness up and weight down. Installing the XMOD MTB cranks was simple and straightforward on a standard PF92 or 68/73 threaded bottom bracket. All we did was install a 24/22 bottom bracket (SRAM GXP, to be specific), slide on the included spacers, and torque everything down. The crankset came together well. Things were a little more challenging while installing them on a Super Boost platform at a later date as neither the crankset nor bottom bracket came with the necessary spacers, leading to a significant amount of trial and error in getting the spacing and chain line correct. Needless to say, we tested the self-extracting bolt system to near exhaustion but eventually found a suitably spaced setup on our test bike's 12-speed SRAM drivetrain. Expounding a bit on chain line, we discovered how crucial a perfect chain line was for seamless operation. 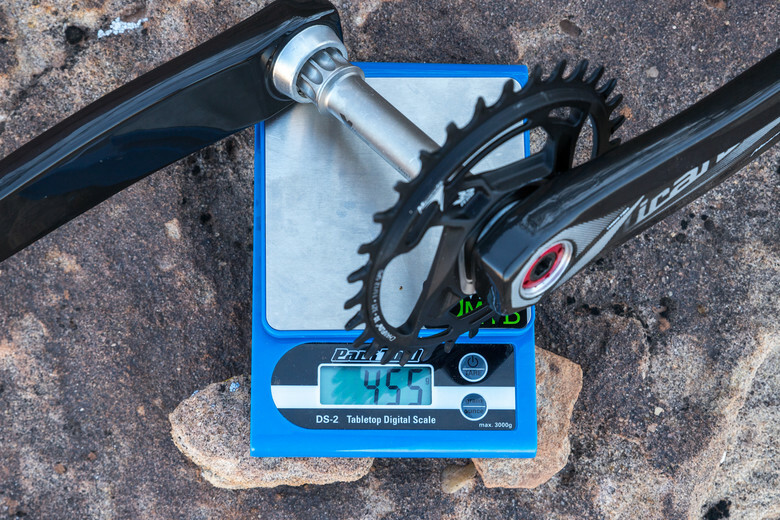 Unlike other cranksets we’ve tested, if the XMOD MTB cranks were remotely off the chain would catch and snag which made a horrible grinding noise that grew worse under load. If not lined up perfectly, we concluded that the T-shaped teeth fit so snug within the chain links the unique profile would grind and snag as the chain went onto and off the ring. Tweaking our janky home-make spacer kit a bit we were able to get the bike to pedal smoothly again. 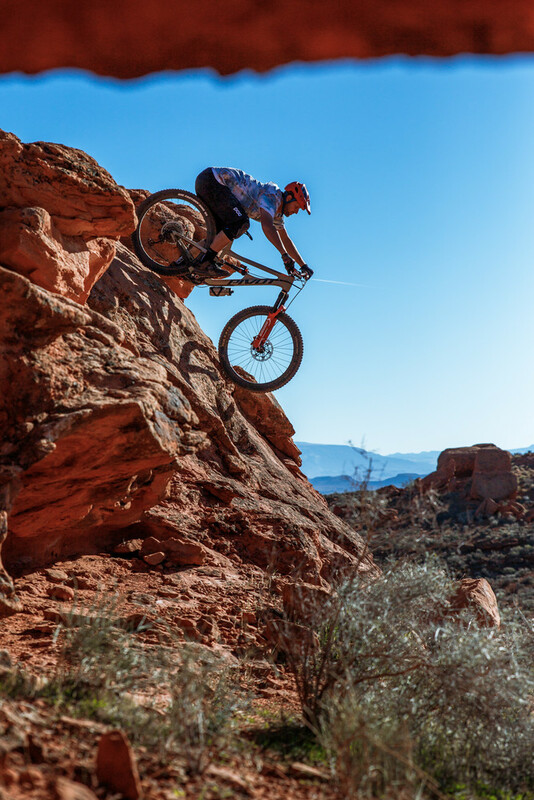 When pushing the XMOD MTB cranks towards our tester’s limits, we were pleased to say that the arms and spindle held up and kept the rubber side down. 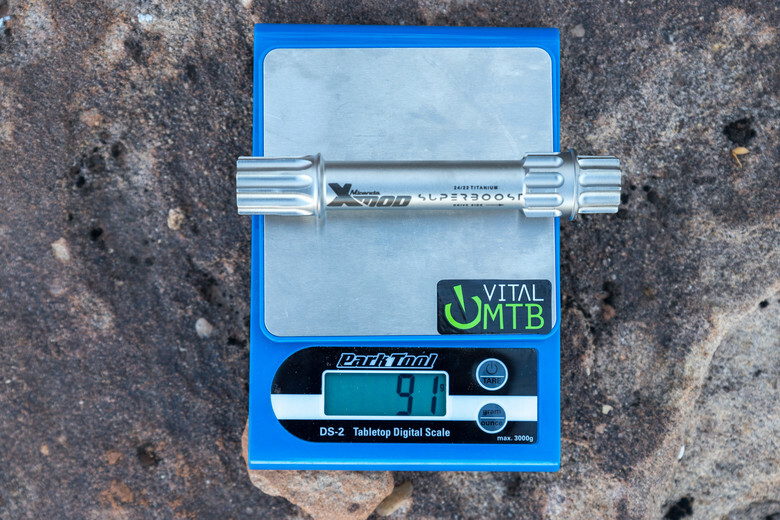 This was somewhat surprising as the titanium spindle has been machined significantly to keep the weight under 100 grams per spindle. Are the spindles the stiffest we’ve ridden? No, but they weren’t wet noodles either. The fact that the spindles are not the most rigid may not be a bad thing and certainly shouldn’t be a deal breaker. Several types of components have recently been redesigned to provide an increase in flex and give to provide better control and handling. 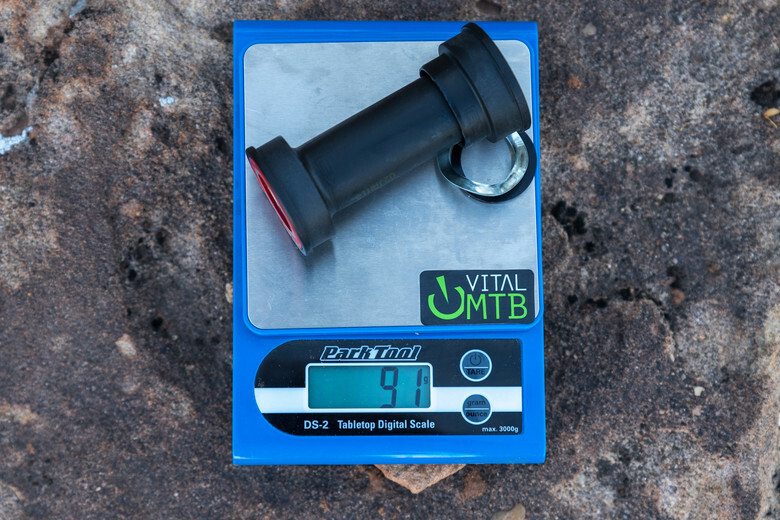 Spindle stiffness boils down to the rider and how they prefer their bike to ride. 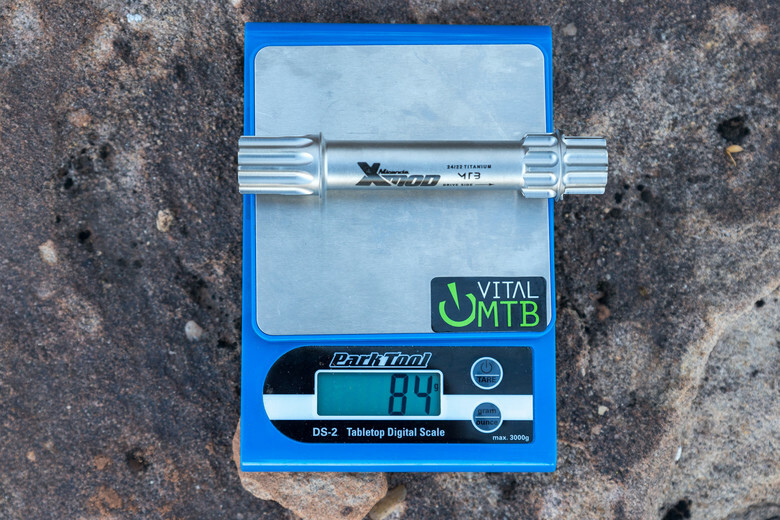 Ultimately, we felt the XMOD MTB cranks damped heavy impacts and are glad to report that neither the spindle nor crank arms showed signs of fatigue or failure which is what's most important. Throughout our test, the T-shape profile of the chainring hugged the chain so well that derailment wasn’t even close to being an issue. For riders looking for a worry-free, non-chainguide setup and/or can’t afford to drop a chain during a race run, the XMOD should be at the top of your list. One thing we’d like to mention is the ease of swapping chainrings while away from the bike stand. The self-extraction bolt pushes the crank arms off without any difficulty. Once the drive-side arm is off, all a rider has to do is slide the chainring off the spindle and swap it out with another. 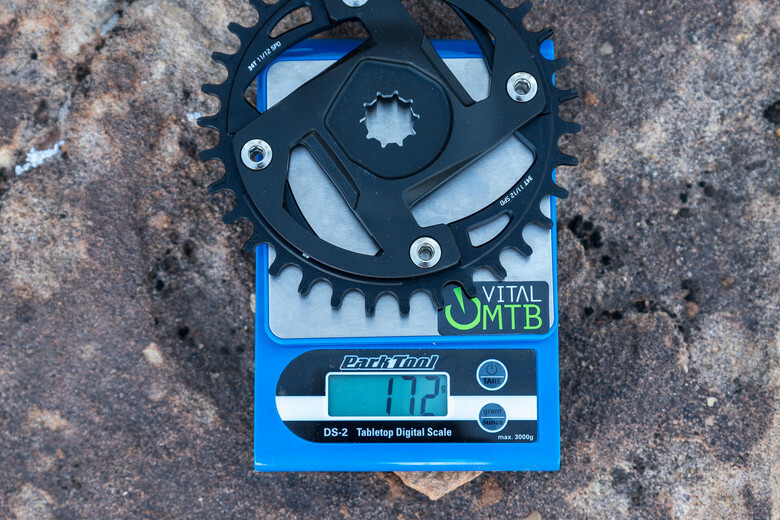 Most other cranksets require additional steps and tools to swap chainrings. As stated previously, we did spend a significant amount of time trying to get the chain line set up correctly. If it was slightly off the crank would grind quite fiercely. 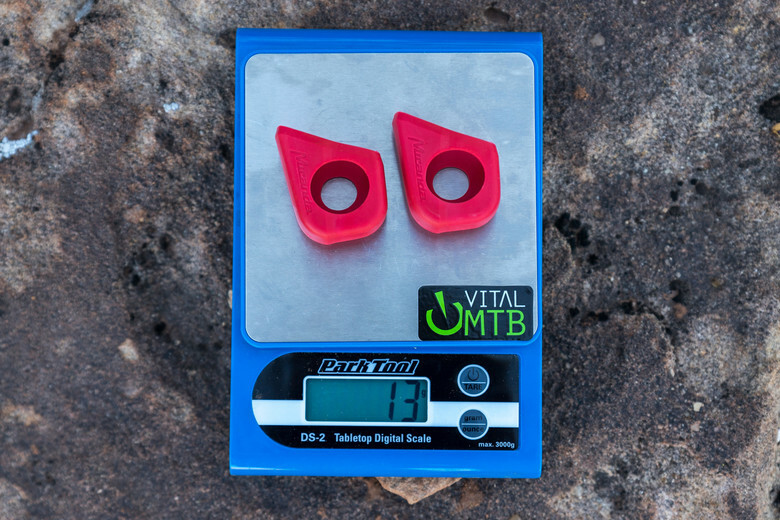 The vast majority of riders don’t have the time to tinker with things like chain lines, so providing detailed instructions and any applicable spacers would be greatly appreciated. 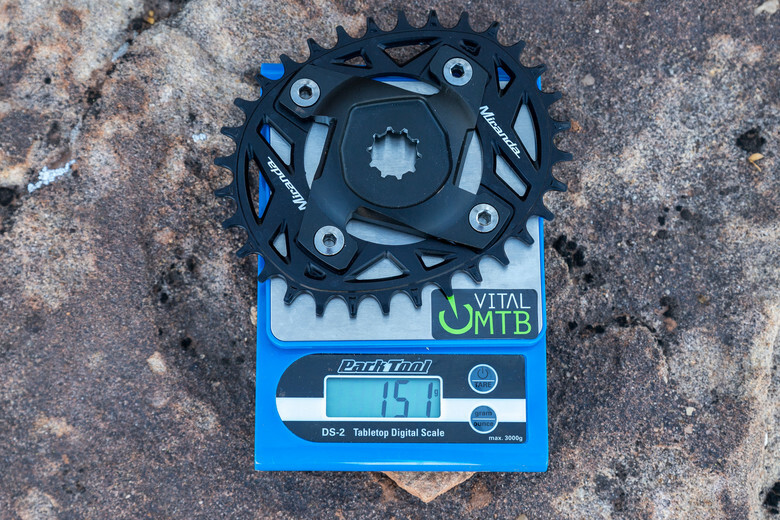 The ChainFlow 3D chainrings offer spectacular chain retention, however, but we wonder if toning down the ring profile slightly would provide more forgiveness in regards to imperfect chain line grinding while not majorly compromising retention qualities. The carbon layout of these cranks has held up quite well, but the gloss finish – although impressive to ooh and aah over – has a tendency to mar easily. Taking the arms off you’ll find signs from every altercation they’ve had. Choosing a matte finish or providing some form of protective tape would have been a nice touch for keeping these not-so-inexpensive cranks looking new for longer. 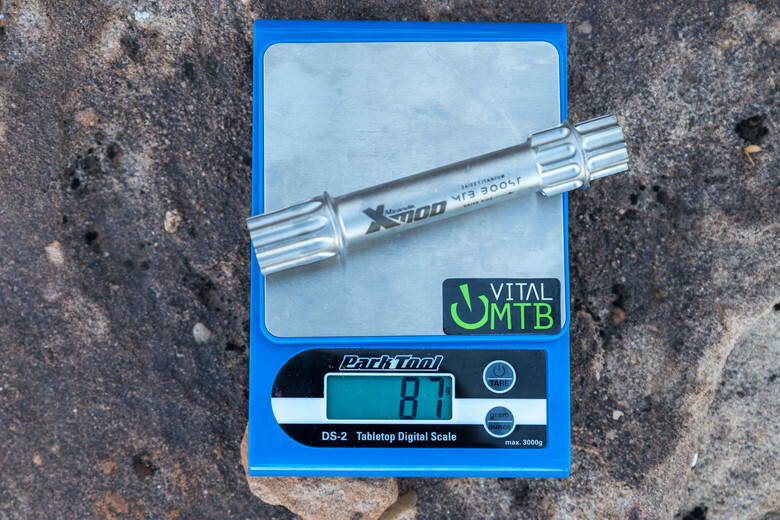 Throughout our test we experienced no functional durability issues with the XMOD MTB carbon cranks. They have held up to all of our demands while out on the trail. As previously mentioned, trail debris impacts did put a few scuffs through the clear coat. Unlike other crankarms that show signs of shoe rub even after the first ride, the logos and design have held up excellently. 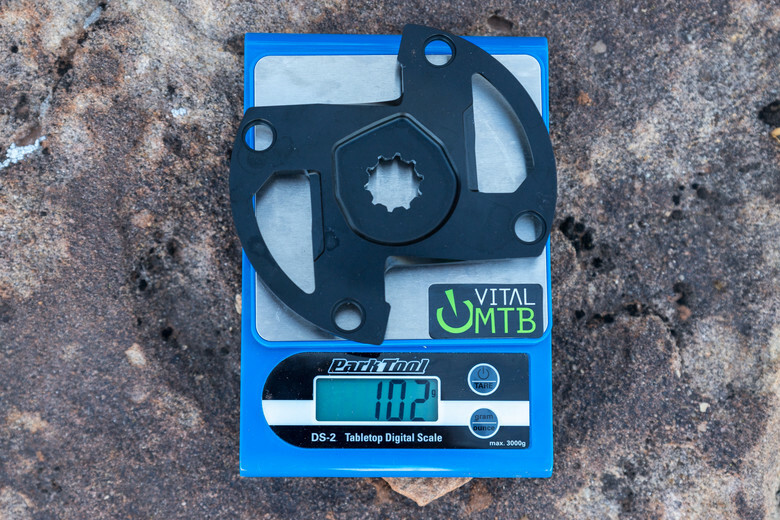 Miranda did an outstanding job producing a crankset that covers multiple mountain bike disciplines. 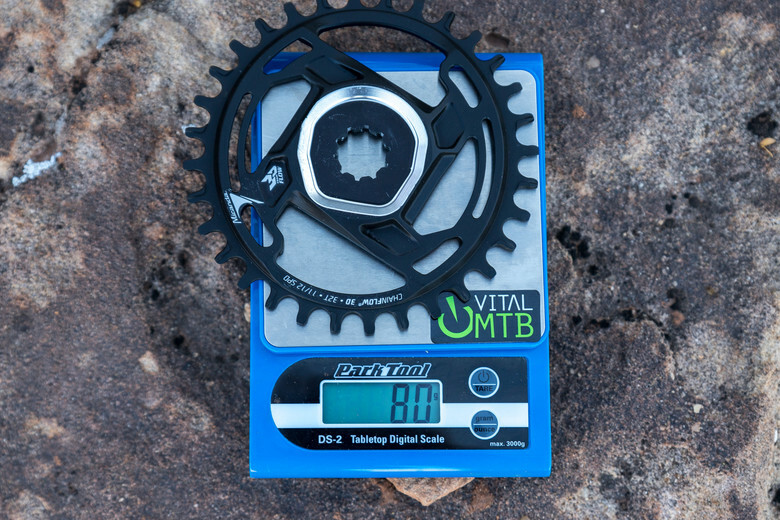 Swapping crank arms, chainrings, and spindles has never been easier. 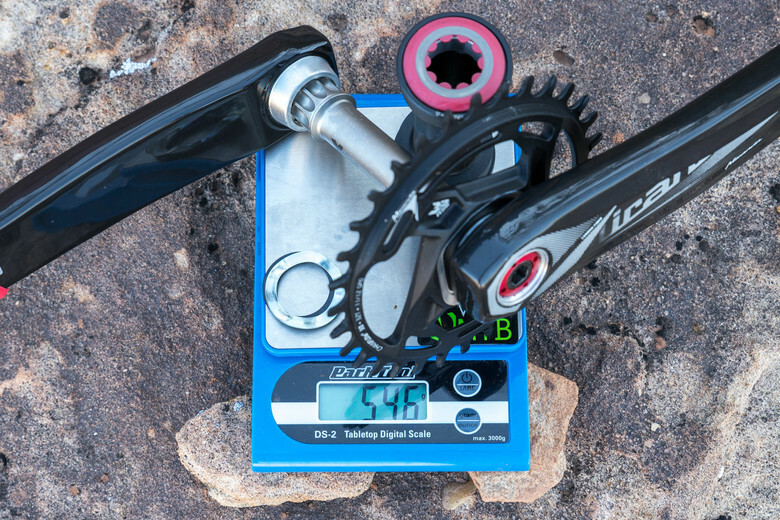 The XMOD MTB carbon cranks are light enough for the majority of weight-conscious riders but held up to all the stress and strain we could throw at them. The titanium spindle is extremely lightweight and offered a little more flex than other spindles we’ve tested. 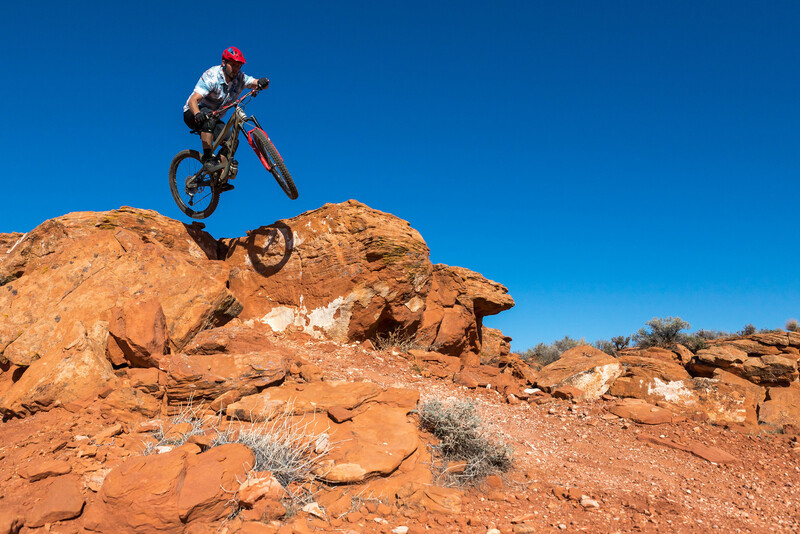 Remember that flex isn’t always a bad thing – it just boils down to rider preference. Though initial setup can be a little tricky and time-consuming, once everything is lined up right you can expect smooth pedaling and zero worries about dropping a chain on the trail.Ultimately, Miranda has come out with an excellent crankset that will satisfy the needs of many riders regardless of the standards their current or future bikes may have. Visit www.mirandabikeparts.com for more details or to configure your own.